The Firekraken is an immersive installation that simulates dancing fireworks, embracing the playful and sensory nature of pyrotechnic displays. 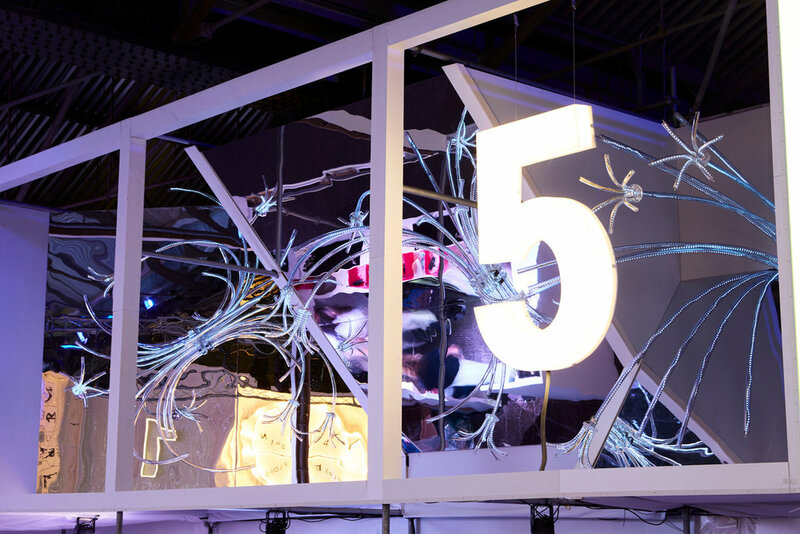 A series of five acrylic assemblages capture explosive moments in time and freeze fireworks in their most beautiful state, then, to bring the static sculptures to life, we looked to nature as the key inspiration behind our wider design approach. Just as fireworks light up the night sky, bioluminescent organisms glow and glitter in the ocean. 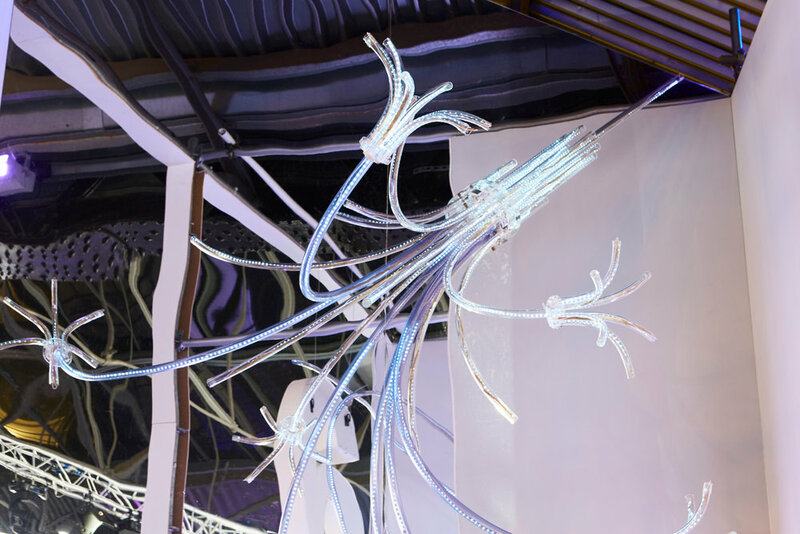 We programmed LED strips to evoke this spectacular natural phenomenon, bringing a kinetic energy to the display so that it appears like a family of sea creatures dancing together in the deep. 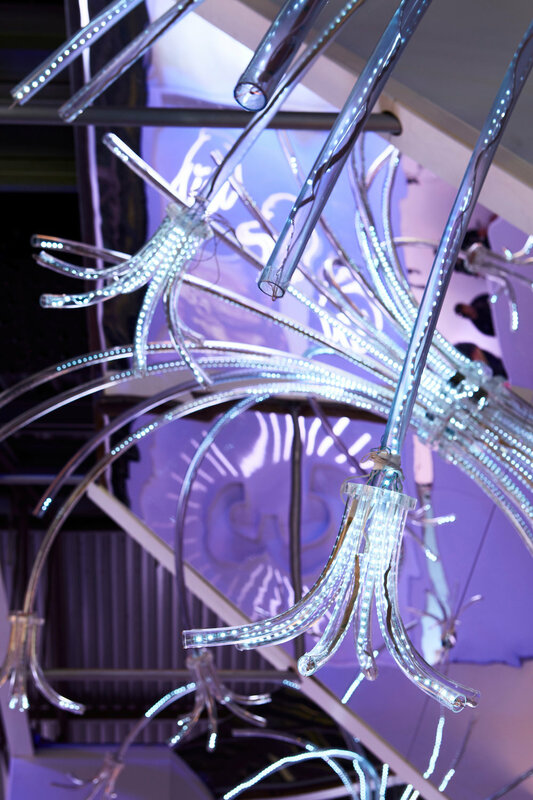 The Firekraken comprises a series of five sculptures, made by manipulating clear acrylic tubes and arranging them in unique assemblages, before passing addressable LED light strips through them. We programmed the LED strips to react to sound so that the installation can be choreographed to any soundtrack. 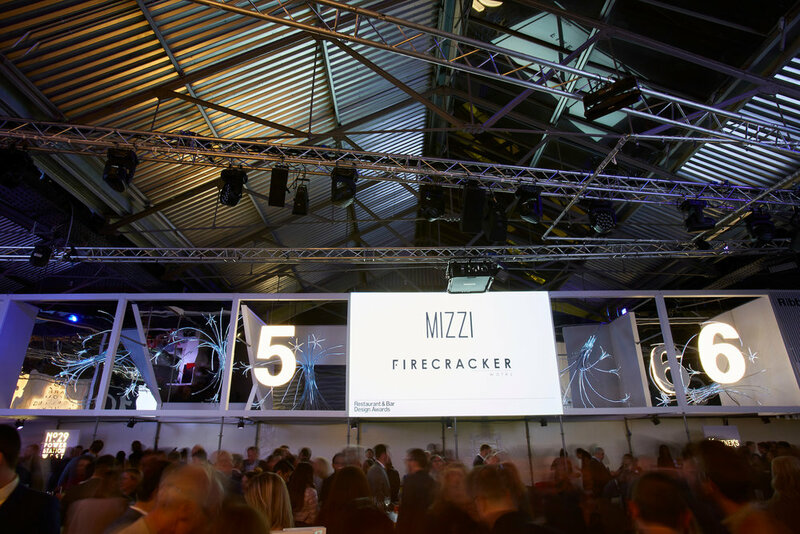 Mizzi Studio unveiled ‘The Firekraken’ at the 10th Restaurant & Bar Design Awards ceremony in Kings Cross, London in October 2018. As a previous award-winning designer – we were recognised at the 2017 Restaurant & Bar Design Awards for our work on the Colicci Café at Westfield Stratford, London – we were invited by the Restaurant & Bar Design Awards organisers to create a huge three-dimensional tapestry on the theme of 'celebration’, to mark the 10th anniversary of the awards.